Much to our dismay, Gossip Girl ended almost five years ago, but much to our delight, the characters' memorable fashion choices live on. You could even say that fashion and NYC were unofficial cast members—hence the subject of this story. Thanks to the pack of ultra-stylish wealthy socialites featured on the series, New York City's illustrious retail scene was utilized to the fullest over the span of the show's five-year history, with many scenes using some of the city's most famous stores for its on-location shoots. Blair Waldorf and Serena van der Woodsen spent so much time at the multi-level Fifth Avenue department store Henri Bendel that the show even had its second season premiere party there. Season 4 opened with Serena and Blair's shopping-filled trip to Paris, in which they visited the Chanel boutique on Avenue Montaigne. Accompanied by Serena, Jenny Humphrey found her sweet-16 dress at the Missoni store on Madison Avenue. Another Madison Avenue designer shop featured on the show was Vera Wang, where Blair acquired her wedding gown (naturally). 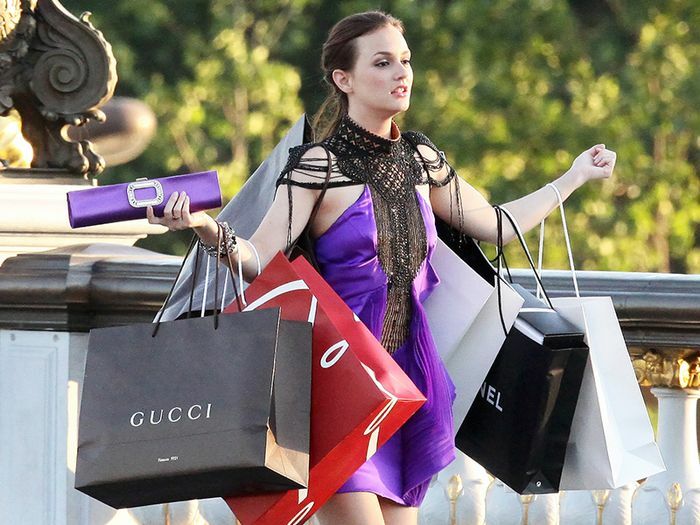 Gossip Girl's props department likely hoarded stacks of Barneys New York shopping bags—they were often seen dangling from the characters' arms. One scene featured Serena at Ralph Lauren's Upper East Side store, and she wore a dress by the designer for one of the show's most memorable occasions: Lily's wedding to Bart Bass. With its proximity to the Plaza Hotel and reputation as one of the best department stores in the city, it's not surprising that Bergdorf Goodman was visited and often referenced by the cast members. Next up, find out what it's really like to be on Game of Thrones.